Eric: I’ll be 69 in April and have held off taking benefits up to this point. I did a calculation to see what the break-even point would be at starting times of 66, 67, 68, 69 and 70. It turns out that all of them reach the break-even point at about age 80 to 81, at which time I would have made up the “leave it on the table” money and start coming out ahead with higher benefits (even factoring in the interest income lost). I’m thinking about pulling the trigger in April in order to get the 24 percent bonus, but I have found out that recently updated actuarial tables put my “lights out” age for my age, gender and race at 85. That points to waiting until I turn 70, but perhaps I should “hedge my bets” and go with 69. READ MORE: When should I take my Social Security? Something that not too many people know: Benefits increment each month, not just once a year. Ironically, the mySSA website’s calculations don’t even take this into account. You have to drill around the ssa.gov to find this information. Larry Kotlikoff: You can’t count on dying on time. It’s a very bad idea to take a one-time payment in order to face what could be 30 years of lower benefits. Don’t do it! Wait until 70. Also, if you are married or divorced (and were married for at least 10 years), you will condemn your wife and/or qualified ex-wife to a lower widow’s benefit or divorced widow’s benefit if you die before they do. Looking at the break-even point is the wrong way to analyze this. If you really think it makes sense, apply it to your homeowner’s insurance decision. Michael – Culver City, Calif.: I am concerned that the recent Social Security rule changes will affect my plans to remarry. I am a 69-year-old, divorced man. I originally started my own benefits at age 63, but later realized that I had made a mistake and suspended it just before turning 67 with the plan to restart at 70. My ex-wife died several months later at age 66, at which time it made financial sense to restart my benefits and apply for divorced widower benefits. So I am now receiving my retirement benefit plus my excess survivor benefits based on her record. My fiancee is 64 and has never filed. We are planning to marry before she turns 65 in May 2016. That way, after one year of marriage, she can start spousal benefits based on my primary insurance amount (PIA) and then switch to her maximum benefit at age 70. Do the recent rule changes affect our plans? Is there a deadline that would require us to move up our wedding plans to an earlier date? Larry Kotlikoff: As far as I know, what you plan to do is fine. You are, by the way, able to keep collecting excess divorced widower benefits since you will be over 60 when you remarry. Georgia: My husband and I are both receiving Social Security disability benefits from our own work records. If one of us passes away, can the surviving spouse receive any survivor benefits from the other’s record, in addition to their own Social Security disability benefits? We are both over 60. We appreciate any information you could provide. 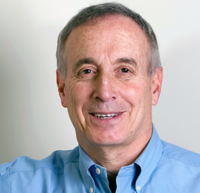 Larry Kotlikoff: Whoever has the lower disability benefit will receive the other person’s benefit when the other person dies (assuming such an event occurs when the survivor is at or above full retirement age). Social Security will describe this as the survivor continuing to collect his or her own retirement benefit plus an excess widow(er)’s benefit equal to the difference. READ MORE: Can I return to work and still receive Social Security disability benefits? ​I​f the survivor with the lower benefit is below full retirement age when the other spouse dies, the excess widow(er) benefit will be reduced, but only until the survivor reaches full retirement age — at which point the reduction will be eliminated. Hence, the survivor with the smaller disability benefit will want to take the widow(er) benefit immediately, no matter when the other spouse passes away. Jim: In a community property state, can I get the Windfall Elimination Provision reduced if my ex-wife was given one third of my state pension? It’s as if it was always hers. Larry Kotlikoff: Your divorce has no impact on the application of the Windfall Elimination Provision. Ben: I have read your book and had my strategy set until this new law. I want to make sure I am doing the right thing and hope you can answer one question for me. I am 67. I filed and suspended my retirement benefits on my own record and plan to collect it when I turn 70. My ex-wife, who I was married to for 38 years and who I separated from three years ago, turned 66 in January of this year. (She’s an independently entitled divorced spouse.) My ex-wife will be restricting her application within the week to just divorced spousal benefits and will later collect retirement benefits on her own record at 70. I saw that in your answer to Janet, you said that her divorced spousal benefits will not be affected unless her ex filed and suspended. So did I mess up my ex’s potential to get divorced spousal benefits by filing and suspending? Or is she grandfathered in since she will file before April 30? I do not want to do anything to hurt her benefits, as we are friends. Please let me know if I should withdraw that application or do nothing. Larry Kotlikoff: I take it you aren’t remarried. You did not need to file and suspend to permit your ex-wife to collect just a divorced spousal benefit at full retirement age and wait until 70 to collect her retirement benefit. Social Security presumes you have filed even if you haven’t in the case that you are divorced. 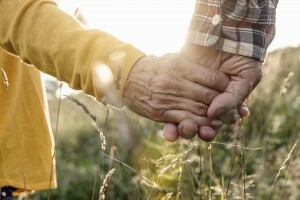 If you aren’t married or if you are and your new wife is too young to avoid deeming when she files for her spousal benefit, you should withdraw your filing for your own retirement benefit. Why? If your ex dies over the next three years, you won’t be able to collect a full divorced widower benefit. Instead you’ll just collect an excess divorced widower benefit. Pat: How many times can you suspend? My client filed and suspended immediately at his full retirement age, and then two months later, he elected to begin receiving his benefits. He is now 68, and he is considering suspending again until he is 70. Can he do this? The Social Security representatives seem to think that he cannot suspend again. Larry Kotlikoff: There is no set limit on the number of times a person can request voluntary suspension. Ann – Port Angeles, Wash.: I will be 62 in March 2016. I have been divorced for more than 10 years and want to know if, with the new rules in effect, I can still collect some part of my ex-spouse’s Social Security benefits when I turn 62 and continue to wait to collect my full benefit at 70. The article you wrote didn’t indicate what happens to divorced spouses who are not 62 by Jan. 1, 2016. My ex is 65 now, but he will be 66 in July. If I could collect from his benefits, would it behoove me to wait another few months until he turns 66? Larry Kotlikoff: The new law prevents you from collecting just a divorced spousal benefit starting when you reach full retirement age while letting your own benefit grow through age 70. Your best bet may be simply to wait until 70 to collect your retirement benefit when it will be 76 percent higher than at age 62. But “may” is the operative word. Whenever you file for your retirement benefits, you will be forced to file for your divorced spousal benefit and vice versa. This is called deeming. Deeming was extended for “young” people ages 62 to 70. For those who were 62 before Jan. 2, 2015, deeming stopped or stops at 66. The deeming means that whenever you file, you will collect your own retirement benefit (reduced if you take it early) plus an excess divorced spousal benefit (also reduced if you take it early). (Early means before full retirement age.) If you have reasonably large earnings, the excess divorced spousal benefit will be zero. That is, the new law may have wiped out your ability to collect a divorced spousal benefit entirely. If you had very low earnings and your excess spousal benefit is positive, the strategy that maximizes your lifetime benefits becomes more complicated. It may be best to file at full retirement age, or it may be best to file at 70. It won’t be best to file at 62. I say file, because you are in the boat in which filing for one benefit means filing for the other. You will need to run yourself through a very accurate software program to figure out if your excess spousal benefit is positive, and if so, what the best collection strategy is.